Uxbridge is located approximately 15 miles West of Central London and is the administrative headquarters of the London Borough of Hillingdon whose architecturally stunning Civic Centre was officially opened on an eight acre site in 1979. Uxbridge has been part of Greater London since 1965. With its excellent transport links including the Metropolitan railway and easy access to the M4 (5 miles), M40 and M25 (2 miles), Uxbridge is a major shopping and commercial centre. Heathrow international airport is located approximately 8 miles to the South. 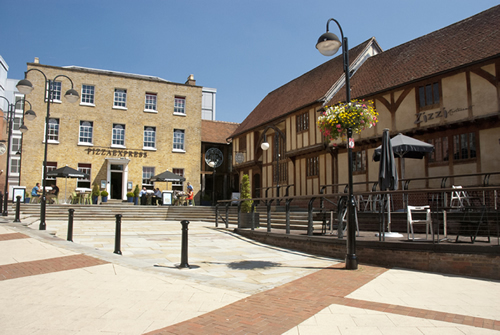 Uxbridge has many excellent private and state schools and is the location of Brunel University and the Uxbridge campus of Buckinghamshire New University. Uxbridge takes its name from the bridge over the Wixan. The Wixan were a Saxon tribe and the bridge was over the River Colne was their territorial boundary. Several historical events have taken place in and around the town, including attempted negotiations between King Charles I and the Parliamentary Army during the English Civil War. The public house at the centre of those events, since renamed the Crown & Treaty, still stands. 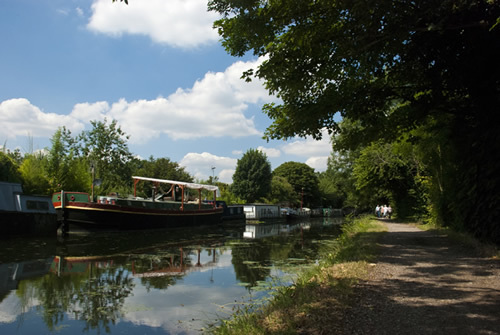 In 1798 the Grand Junction Canal was opened increasing trade for Uxbridge and now provides many attractive opportunities for walkers, cyclists, and those with boats to enjoy the outdoors. Uxbridge also houses the Battle of Britain Bunker, from where the air defence of the south-east of England was coordinated during the Battle of Britain. Situated in RAF Uxbridge, the No. 11 Group Operations Room within the bunker played a crucial rule during the battle and was later used during the D-Day landings. 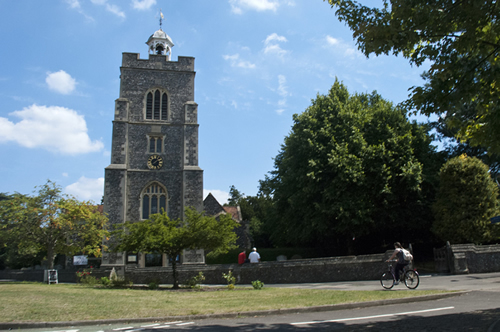 The town is close to the boundary with Buckinghamshire, which is marked locally by the River Colne and the nearby villages of Iver and Denham boast many historic and picturesque settings and will be familiar to many due to their regular appearances in films made at Pinewood and Denham studios. The area boasts many open spaces including Uxbridge Common and many sporting facilities including the recently refurbished Grade II outdoor swimming pool. There are several golf courses within the area and Uxbridge cricket club hosts Middlesex cricket matches every season. There really is something for everyone in Uxbridge and its immediate surrounds.